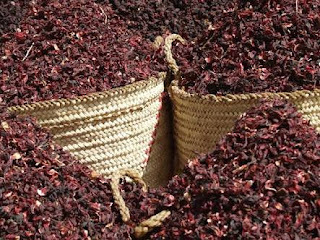 The Nigerian Agricultural Quarantine Service, NAQS, has revealed that the country generated $32million in nine months from the export of hibiscus which is locally known as zobo. The Coordinating Director, NAQS, Dr Vincent Isegbe, disclosed this at the ‘National Survey of 13 Agricultural Commodities by the Inter-ministerial Committee on Prevention and Control of Mycotoxins in Agricultural Commodities’ meeting held in Abuja. The director revealed that hibiscus has commercial value and Jigawa state is already reaping the benefits as the largest producer in the country. Other states benefiting from the crop include Kastina, Kano, Zamfara, Kebbi, Zamfara, Borno and Yobe. “In the last one year there has been increase in exports of agricultural commodities. Hibiscus alone in one country, Mexico, generated $35 million in nine months. Last year we made more than $20 million, and that is just one commodity. In the last one year we have done what we call export improvement initiative for so many commodities. That means we are bringing those commodities that were lying low to ensure that they are properly positioned for export. They use it for organic colouring agents for drinks and wines, and as natural blended drink as we drink zobo here in Nigeria, the pharmaceuticals also use it for colouring because is organic. 0 Response to "So you Nigerians like Zobo drink? The export of hibiscus locally known as zobo generated $32million in nine months"